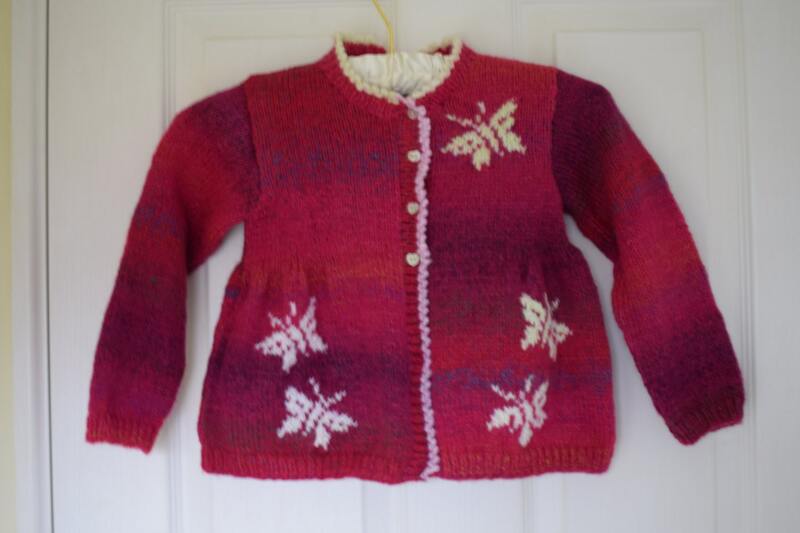 A trendy knitting pattern for a jacket featuring butterflies for ages 2 to 13 years. 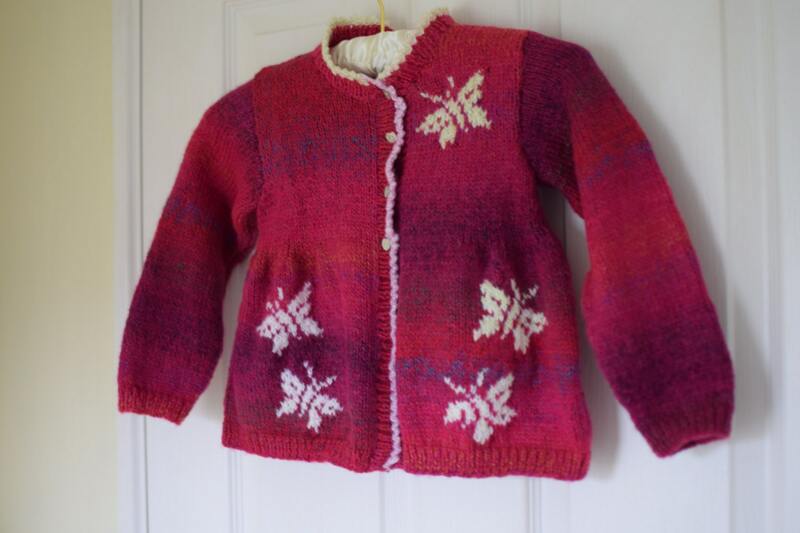 The jacket is knitted in a self-striping yarn and a contrast yarn is used for the butterflies and picot edges. 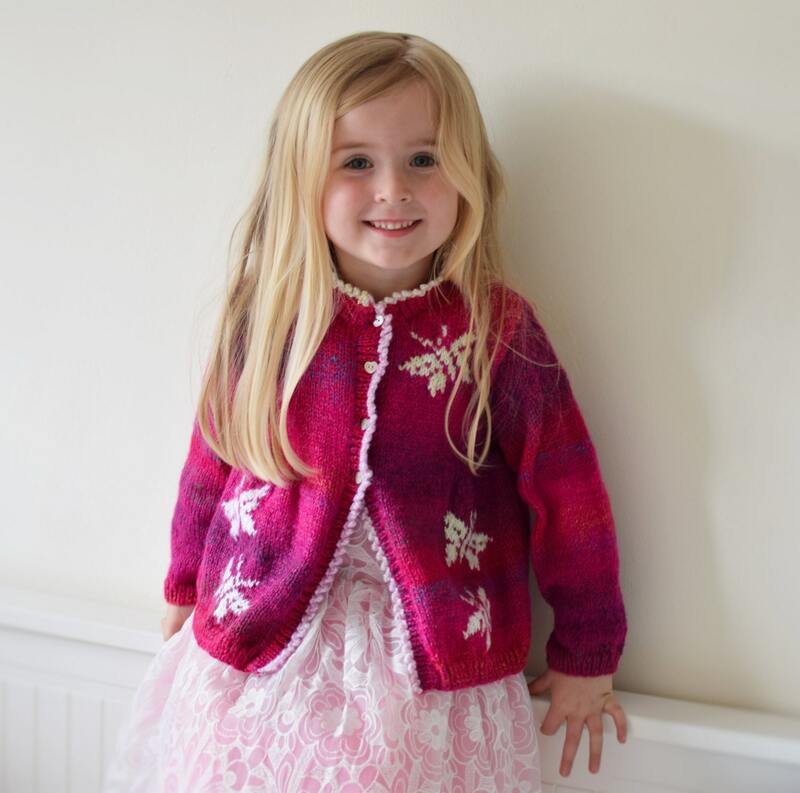 There is a fullness to the bottom of the cardigan and then shaped for a fitted upper bodice which is fastened with 4 buttons. The picot edging is easy to do and adds a pretty detail to the front. The back also has butterflies on one shoulder which makes a nice feature to the design. 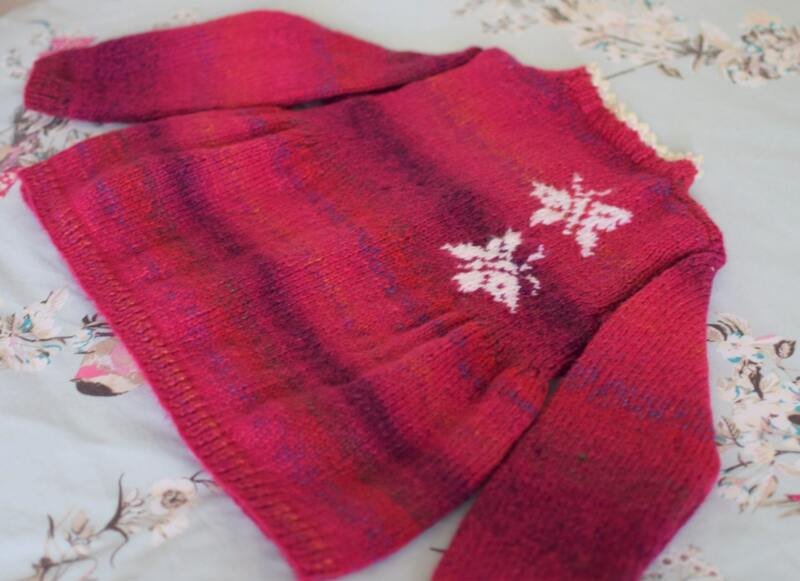 An easy and interesting design to knit. 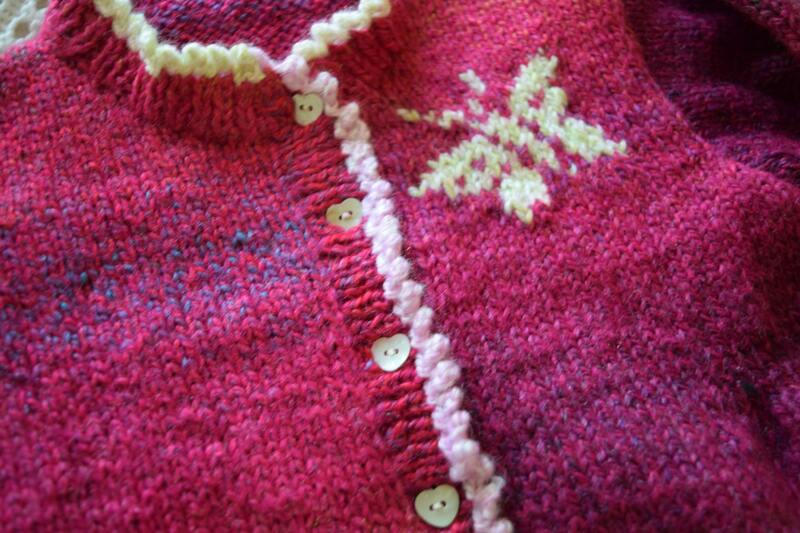 The pattern includes colour coded sizes for ages from 2 to 13 years and has large intarsia charts for the butterflies.